Slide Bracelets from "The Slide Source"
Slide Bracelets from the Slide Bracelet source. Selling slides and slide bracelets online since 1999. 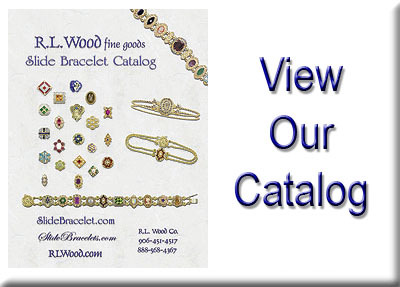 Fine 14K Slide Bracelets, bracelet slides, gemstone slide bracelets, diamond slide bracelets and cable slide bracelets with handpicked precious gems and expert craftsmanship reminiscent of years past. 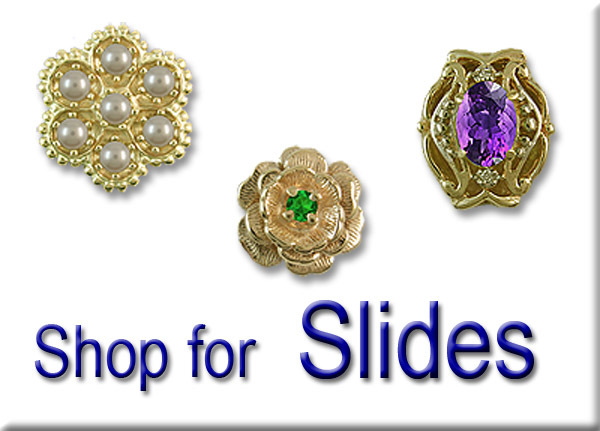 Shop our design collection of bracelet slides and starter slide bracelets handmade by our jewelers and from other fine crafted slide bracelet designers we represent. 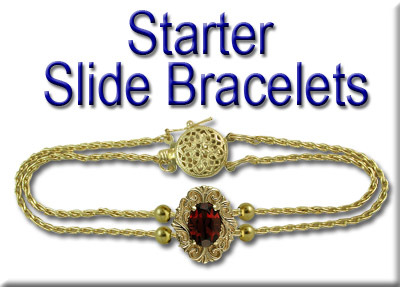 Undoubtedly, the largest selection of heirloom quality slide bracelets available anywhere. We have all your needs for a slide bracelet, including slide bracelet spacers, cable slide bracelets, cuff slide bracelets, complete slide bracelets and blank bracelet slides.